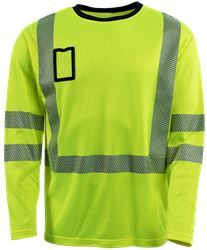 Flexible heat transferred reflective band around the body and shoulder, ID-card-pocket. 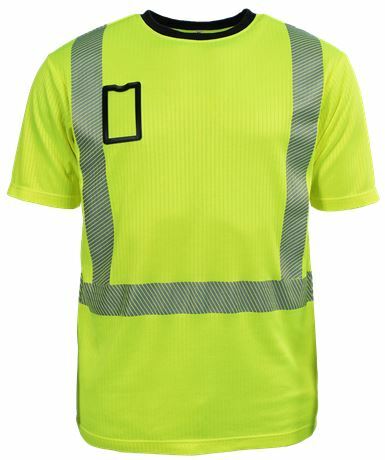 Shirt is loose fit. 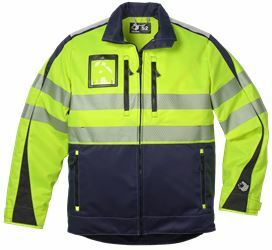 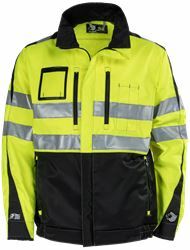 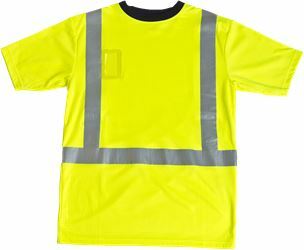 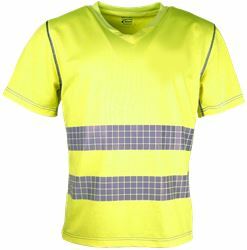 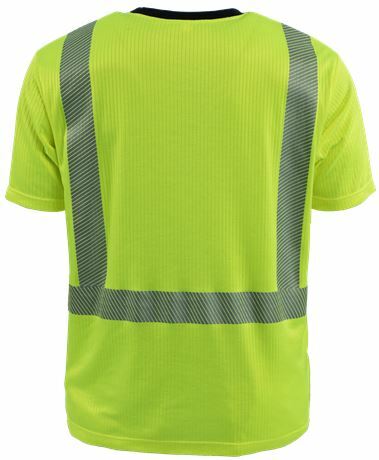 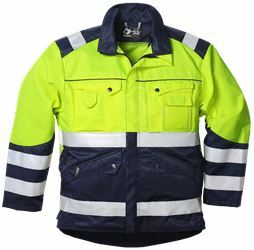 Classification info: HiVis EN ISO 20471 class 2.